An official of Joint Admissions and Matriculation Board official who claimed a snake swallowed N36million left in her care has been arrested. 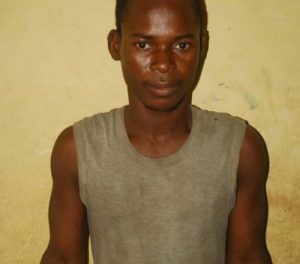 The Economic and Financial Crimes Commission has arrested and grilled a Joint Admissions and Matriculation Board official based in Makurdi, Philomina Chieshe, who claimed that a snake swallowed N36m which was part of the proceeds of the sale of scratch cards. 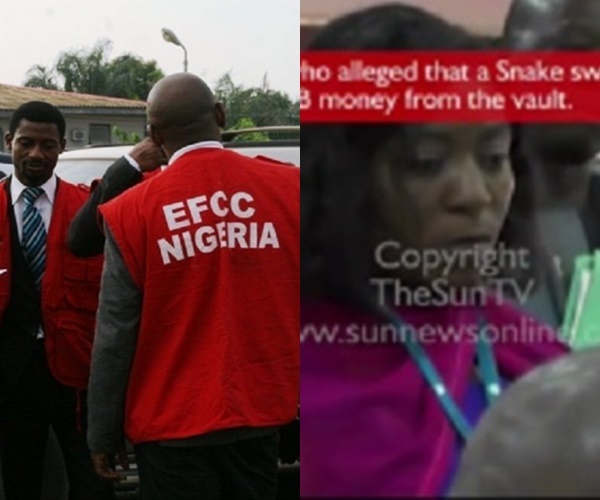 According to Reporters, detectives at the commission said that Chieshe revealed that the money was collected in instalments from her by her Coordinator, Mr. Samuel Umoru. In one of the statements she volunteered to the EFCC, Chieshe who is a clerk in the Makurdi office of JAMB, was said to have revealed that the coordinator usually asked her to withdraw proceeds of the sale of the cards from her account in two banks. “This money that I withdraw, the coordinator used it for the office and some time for himself. ” She claimed that she had been warning Umaru that it was improper to use the money for miscellaneous expenses in the office or for private purposes but he would not listen. The suspect also claimed that Umoru was in the habit of drawing IOUs from the proceeds of the sale of the cards without reimbursing her. Some of the withdrawals which she claimed were at the behest of the coordinator included the N340,000 withdrawn on May 5 and 26, 2014 with an ATM card. Sources close to the EFCC disclosed that the investigating team had verified the withdrawals after a careful analysis of the statements of account of the suspect. It was learnt that Umaru had also been arrested and questioned about claims by Chieshe. He was, however, released on administrative bail. The interesting aspect of the disclosure is that Chieshe’s statement was obtained long before the snake and naira swallowing testimony became public knowledge. 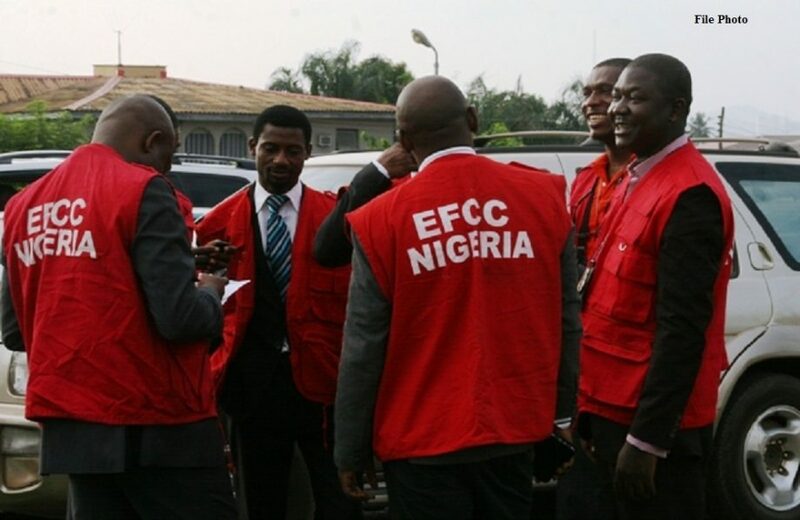 The EFCC also quizzed another JAMB official, Tanko Labaran, the clerk in Nasarawa State office of the board who could not account for scratch cards worth N23m. He allegedly claimed the cards given to him were lost in a car accident. According to Labaran, he had an accident on his way from the head office with cards and the vehicle caught fire. The suspect also had a police report to back the claim. Meanwhile, the EFCC has also quizzed another officer from the Gombe State office of JAMB for failure to account for N20m worth of cards. During interrogation, he claimed not to have received any cards, that his signature on the letter transferring the cards to him was forged.